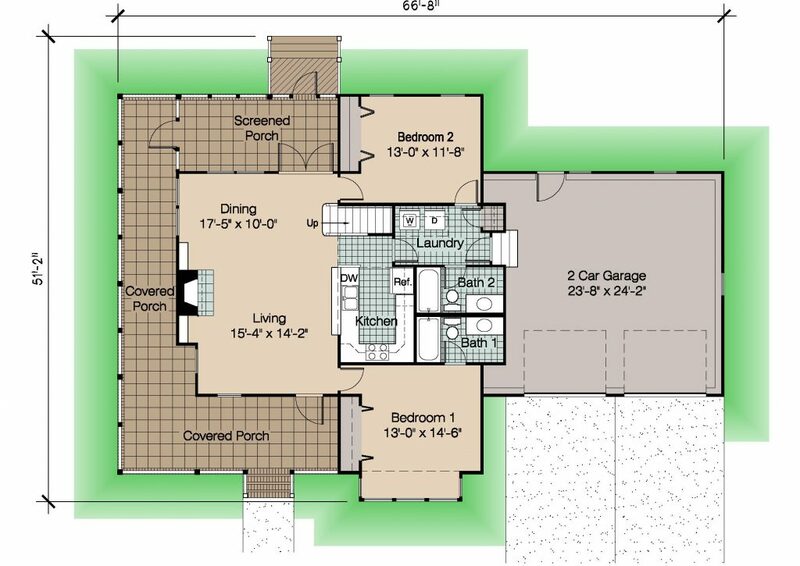 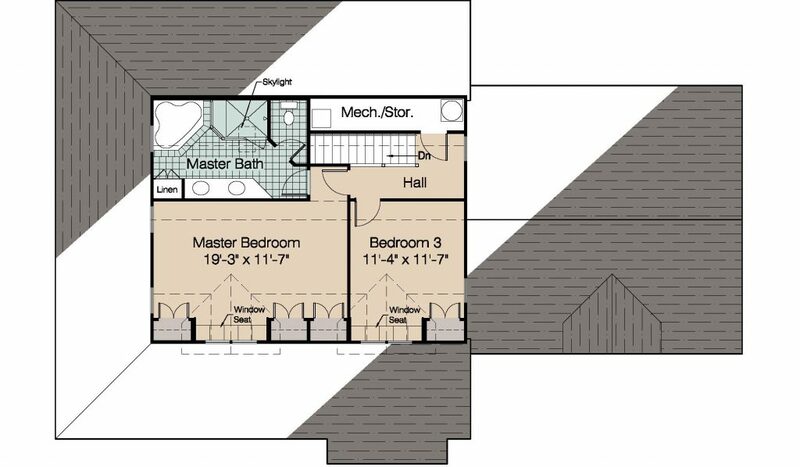 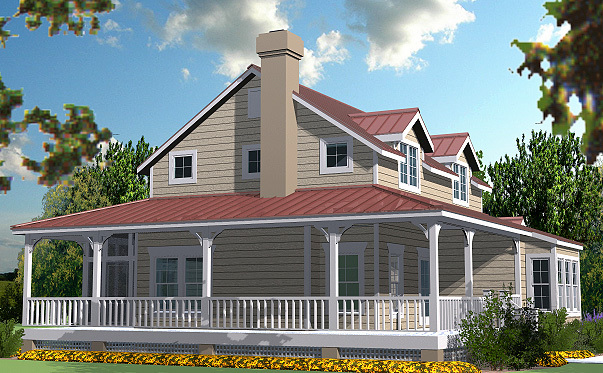 This Country Cottage layout, designed for efficiency and livability, also has special features such as a wrap-around porch. 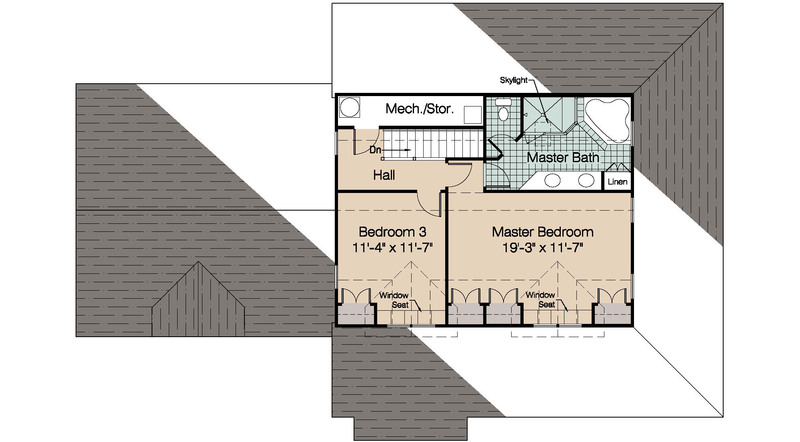 A light-filled window bay extends the floorspace of the front bedroom. 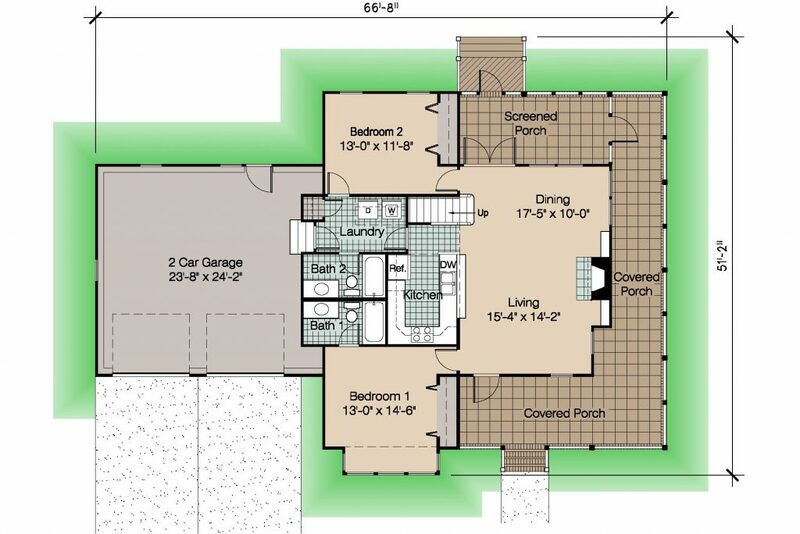 An attached (2) car garage provides added convenience. 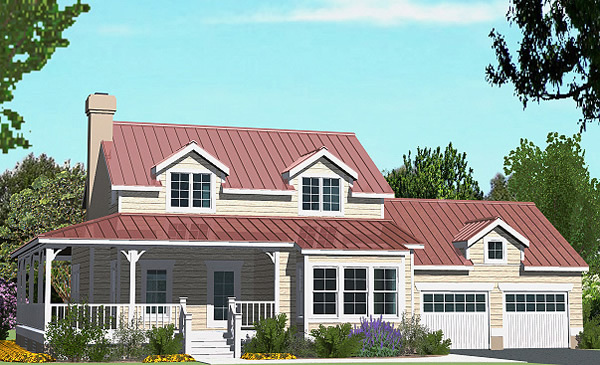 The result is a practical, attractive cottage suitable either for a vacation getaway or a primary residence.